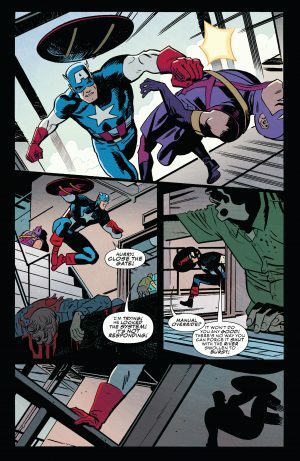 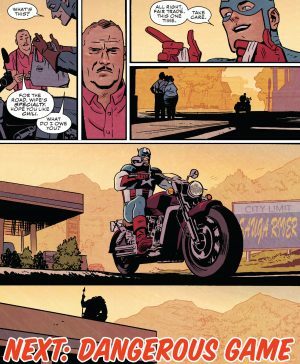 Marvel Comics Legacy and Captain America #696 Spoilers follows. 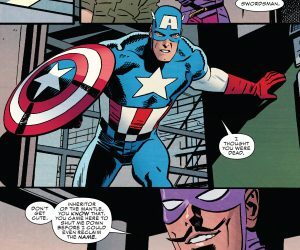 Captain America #696 continues Marvel’s efforts to try to convince readers that this classic looking Steve Rogers is the “real” Captain America despite the “real” Steve Rogers being the jailed evil Hydra Supreme leader. More on all that convolution here. 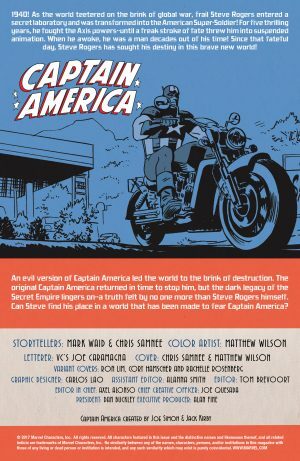 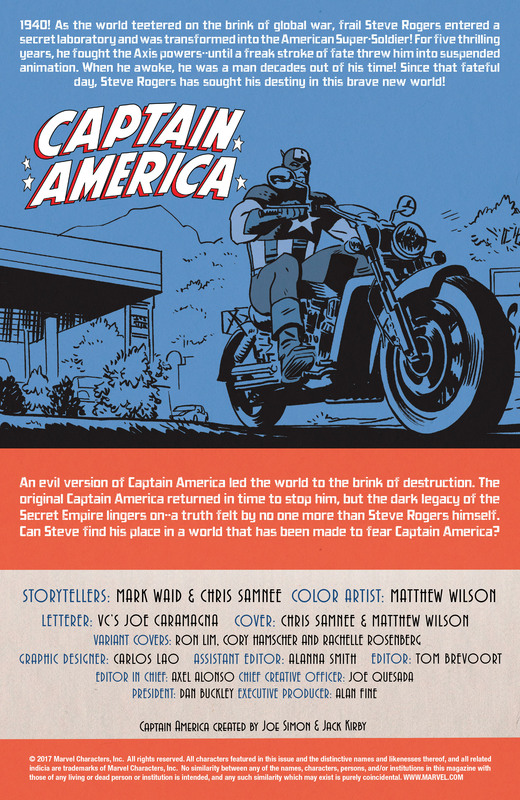 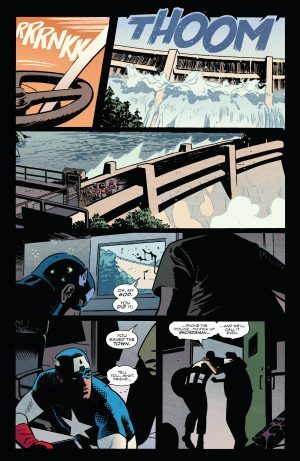 Captain America #696 opens with the usual credits and summary or catch up page for readers. 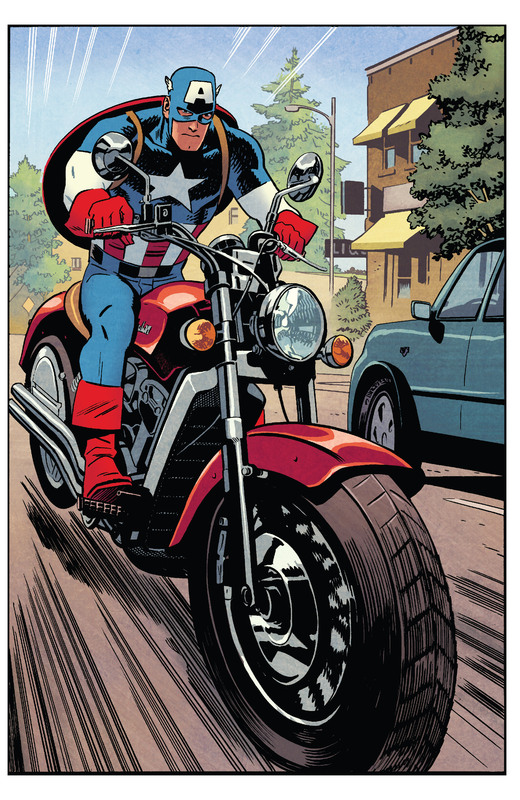 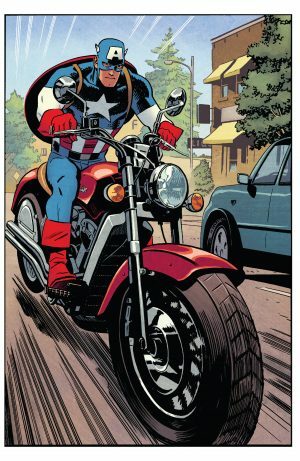 Steve Rogers’ motorcycle journey across America has him in Atlanta this time. In a town Hawkeye villain Swordsman is in. Swordsman than shares a challenge online with Captain America; he will blow the dam and Cap needs to try to stop him. 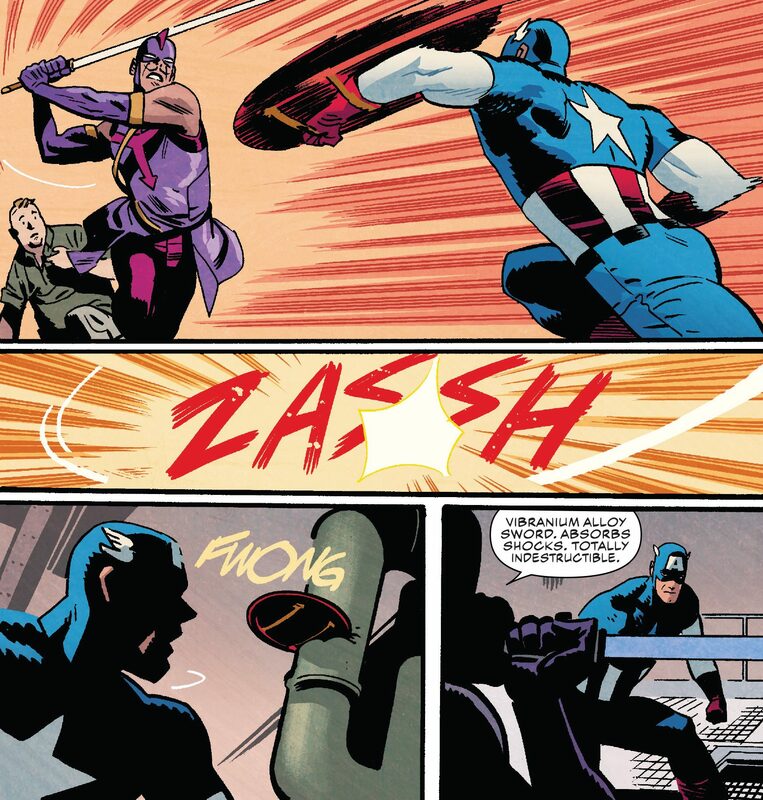 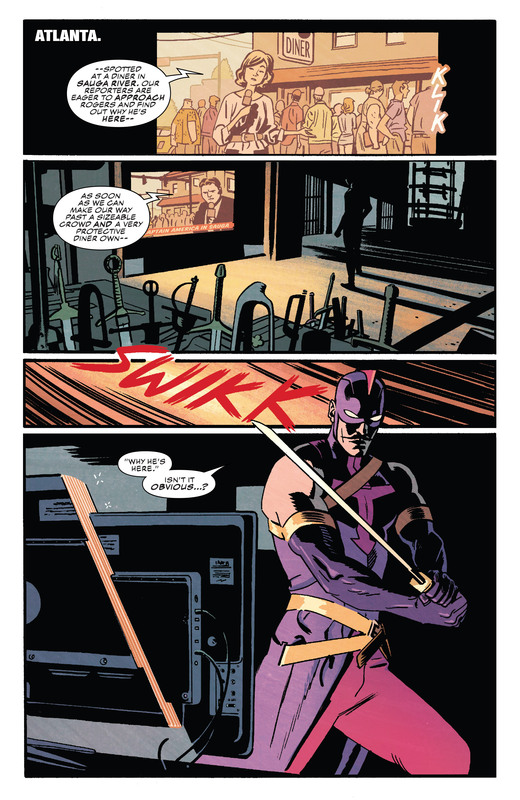 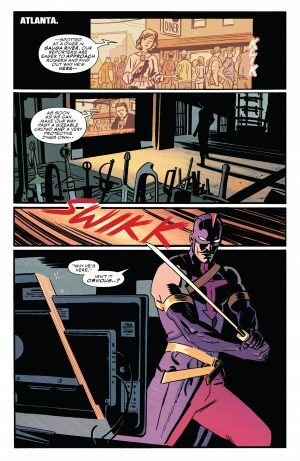 They confront each other and we learn that this is not the original Swordsman who was a mentor and then arch enemy to Hawkeye, but an inheritor of the mantle. 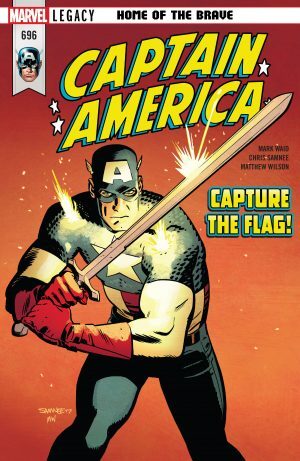 We also learn this Swordsman’s sword is made from Vibranium alloy and is near indestructible. 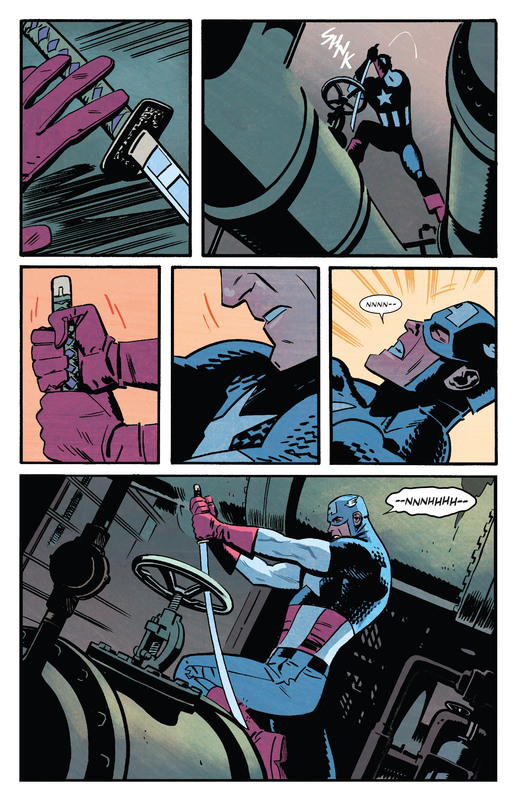 Captain America’s first attempt at saving the dam fails because the Swordsman has reprogrammed the computers. Captain America has had enough and easily dispatches the next gen Swordsman. 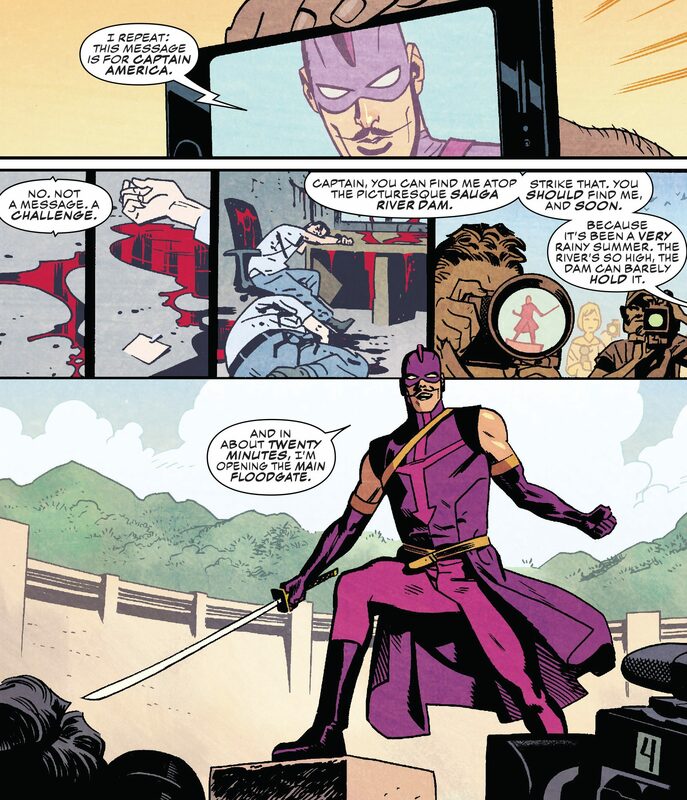 He actually uses the Swordsman’s near indestructible sword to manually solve the dam problem. 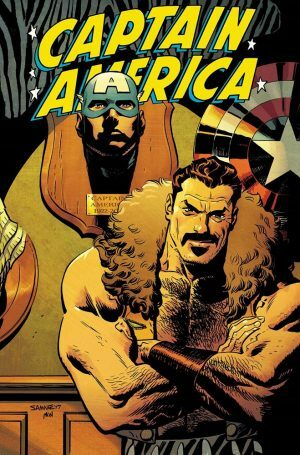 ….as Amazing Spider-Man foe Kraven the Hunter appears in the wings. 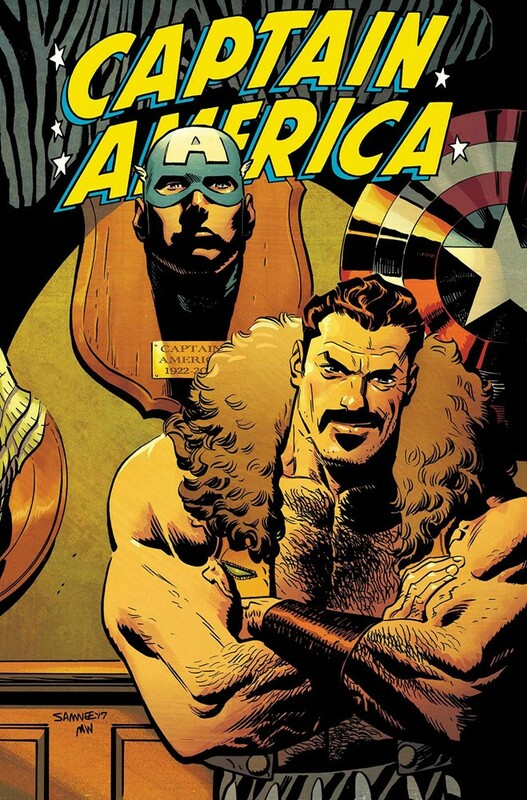 Kraven is actually on the cover of next issue’s Captain America #697.